You can file for bankruptcy with your spouse after you have filed for divorce as long as the divorce has not become final. If the divorce court has entered a final judgment dissolving the marriage, you are no longer married and cannot file for bankruptcy as husband and wife--even if your debts were incurred while you were married. Filing prior to the divorce becoming final can help if financial problems are preventing you from working out a realistic divorce settlement. There are two types of bankruptcy you should consider. Most often, individuals and married couples file for bankruptcy under Chapter 7 or Chapter 13. Chapter 7 is a liquidation bankruptcy in which most people receive a discharge in approximately four months. Chapter 13 is a repayment plan. The length of the plan varies from three to five years and is dependent on the amount of disposable income available, debts you are trying to pay and value of any assets you are not allowed to claim as exempt (or protect) under the law. If a divorce is imminent, Chapter 13 may require more long-term cooperation than can be reasonably expected. Unmarried couples can only file for bankruptcy separately. This is true even for couples who live together, share expenses, own property together and incur debt jointly. Married couples, on the other hand, have the option of filing jointly or separately. They can file together even if they live apart, maintain separate assets, separate credit card accounts and do not share expenses. You can file separately, but the court may prefer that you file together. If you are married, share property or debts, and file separate bankruptcy actions close in time to each other, the court may consolidate the cases to make it easier for the trustee to deal with property and debts in the related cases. The effect of only one spouse filing for bankruptcy varies across states. Generally, marital property in a community property state, or property owned together as husband and wife in other states, will be used to pay debts incurred by both spouses together if the property cannot be claimed as exempt -- even if only one spouse files for bankruptcy. The extent to which marital property will be sold to pay debts incurred by spouses individually during the marriage varies by state and district. In some cases, filing jointly will result in the discharge of more debt without the loss of additional assets; in other cases, a filing by one spouse will be sufficient to resolve the financial issues while preserving more assets. Getting legal advice from an experienced local bankruptcy attorney familiar with the marital property laws in your state is critical. If financial problems contributed to your marital discord, it is unlikely they will disappear just because the divorce is final. The divorce court cannot alter the rights of creditors to whom you owe debts. To the extent that both spouses were obligated on a debt before the divorce, they will remain jointly obligated afterward. If the spouse that was ordered to pay the debt does not, the creditor can pursue the other for collection. Filing for bankruptcy jointly before the divorce is final can eliminate the excess debt and make it possible for you to enter into a settlement agreement which is more realistic than it would have been without the discharge. A discharge in bankruptcy may have limited value if you file without your spouse before your divorce obligations have been determined or if you file after the divorce. While bankruptcy can discharge your personal obligation to a creditor, it will not discharge your obligations under a divorce settlement. If you are ordered to pay a debt as spousal support, failure to pay may leave you in contempt of the divorce court even after you have been discharged in bankruptcy. Do I Need to Add My Wife to My Bankruptcy? When people marry, they tend to commingle assets, debts and expenses. They open joint bank accounts and take out joint loans. The approach usually works quite well – unless one of you files for bankruptcy. You don't have to add your wife to your petition if she doesn't want to file for bankruptcy as well, but there may be some disadvantages to not doing so. 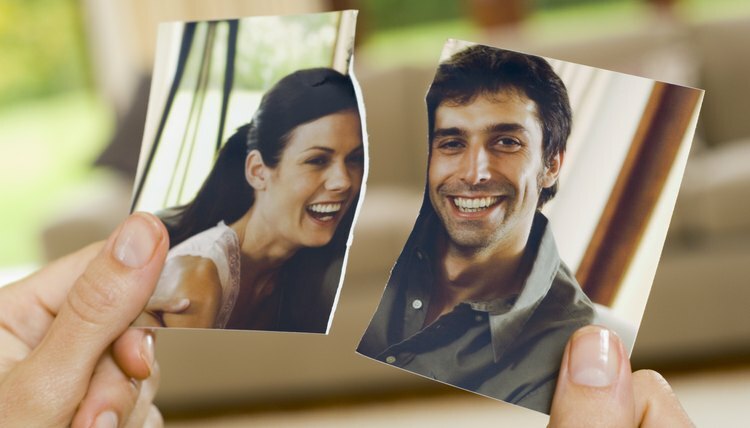 What Happens to Chapter 13 During a Divorce? A Chapter 13 bankruptcy filing isn’t a quick or simple procedure. You’re not eliminating your debts as you would in a Chapter 7 proceeding. Instead, you enter into a court-supervised plan to pay your creditors at least a portion of what you owe them. Chapter 13 repayment plans usually last three to five years. If your marriage is in trouble, that could be a very long time. If you and your spouse have filed jointly for Chapter 13 protection, bankruptcy law can lock you together post-divorce, but you have some options. How Does Bankruptcy Affect Spouses? Can I File for Bankruptcy if I Am Getting a Legal Separation?